The value of metrics and more recently analytics has been proven repeatedly. When used effectively in managing performance, the gains can be impressive. In 2011, the Partnership for Public Service worked with the IBM Center for the Business of Government to develop three excellent reports highlighting success stories, “From Data to Decisions.” Everyone interested in this subject should read the reports. That’s been a continuing problem; research shows that many public sector organizations collect and report performance data, but then leaders are unwilling to grant decision making authority to lower level staff. The reluctance to devolve decision authority and empower employees is not limited to the use of metrics. An added problem is the appropriateness of the data for decision making. People cannot be expected to use data effectively if it’s not presented in a straightforward, easy-to-use manner. The many automated tools now available make identifying and tracking possible measures almost too easy. But, the best software will not help to ensure that the right metrics and the right number of metrics have been chosen. To have value, metrics need to be meaningful and central to accomplishing the mission and strategic goals. Failing to measure the impact of the metrics and their use. The importance of establishing metrics goes beyond decision making. 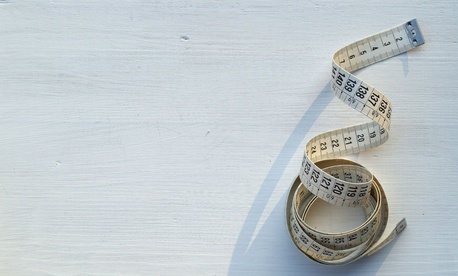 Appropriate metrics can define performance standards for employees. There are situations in government where metrics determine rewards and can trigger adverse personnel actions. In theory that is a sound practice but it doesn’t work when the data suffer from the problems above. Employees need to understand how metrics are determined; ideally they should be involved in defining them. They also need to believe the performance expectations are fair. Continuing to rely on poorly conceived and managed metrics over time will destroy employee morale. Another key challenge is that many people lack an aptitude for working with data and various analytical methods. Data analytics can be a powerful tool in understanding trends or measuring performance, but too few senior leaders have the requisite understanding of statistics. It’s the same problem Brad Pitt had in the movie “Moneyball” when he tried to convince Oakland A’s Manager Phillip Hoffman to rely on Jonah Hill’s statistics. Now metrics are used in all pro sports. One of the earliest applications of what is now analytics was in the 1980s when demands for pay equity first surfaced. Multiple regression analyses were applied to employment data to measure the impact of discrimination. The practice gained acceptance and was adopted by large employers as a tool for managing salaries but often when a new compensation director did not understand the statistics, it was quickly dropped. Today, human capital analyses are common. Central to gaining acceptance for analytics is developing an effective approach to communicating the logic and the conclusions to senior management and, when appropriate, employees. Transparency is essential. If analytics are the purview of only a specialized office, the tools will never be widely used. Measurement alone accomplishes nothing. The emphasis should be on management and improvement. The data should be used to identify, assess, build consensus and address problems that impede progress and results. That would benefit all levels of government. Marc D. Berson is the chair-elect of the American Society for Quality’s Government Division and president of Practical Management Envisioneering LLC. He is a certified Six Sigma Black Belt and Project Management Professional. Mr. Berson has over 30 years of experience supporting all levels of government in addressing performance issues. Marc D. Berson is the chair-elect of the American Society of Quality’s Government Division. He is also the president of Practical Management Envisioneering LLC. Mr. Berson has over 30 years experience supporting federal, state and local governments as a program director, practitioner, advisor and instructor for performance measurement and improvement; metrics development; quality assurance; organizational efficiency; workforce planning, analysis and modeling; and acquisition. Mr. Berson is a certified Six Sigma Black Belt (CSSBB) and Project Management Professional (PMP). He has a Masters of Engineering Administration from Virginia Tech and a BS in Commerce and Engineering from Drexel University. He can be contacted at marc.berson@practical-me.com.